Former Manchester United and France defender Patrice Evra has denied claims made by Paris Saint-Germain that he made homophobic slurs against the club in an Instagram video earlier in the week. "I am not homophobic," Evra said. "If I offend someone or I hurt someone I really apologize, but you know it's not my intention." In a video posted on Monday, Evra can be heard making two anti-gay slurs against PSG in reference to United's elimination of the club from the Champions League earlier this month. On Tuesday, PSG spoke out against the language used by Evra. "Paris Saint-Germain condemns Patrice Evra's homophobic insults aimed at the club, its representatives and its former players in a video released yesterday on social media," the club said in a statement to The Associated Press. "These remarks profoundly shocked the club, which is particularly committed to the values of respect and inclusiveness." Evra, in a later post, claimed that his usage of the language was "a joke." "They are just trying to put me down. Only God can judge me," Evra said. A product of the PSG youth academy, Evra made 379 appearances for United from 2005 to 2014, winning five Premier League titles and the 2008 Champions League crown. 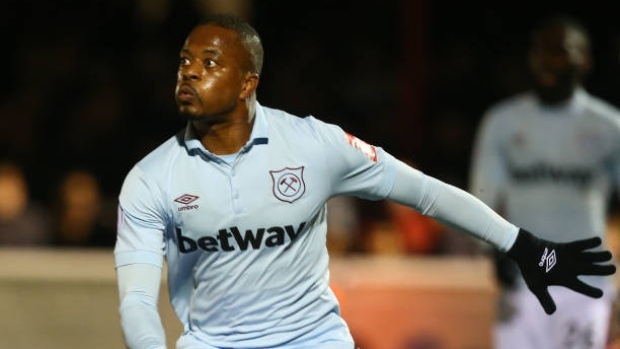 Retiring at the end of last season, Evra also played for Marsala, Monza, Nice, Monaco, Juventus, Marseille and West Ham.